Test your ingredients for freshness. To brew great beer, you need to pay attention to your process. Hitting the correct mash temperatures, boiling sufficiently vigorously, pitching an adequate amount of yeast and many other variables are important to the outcome of your beer. However, your ingredients are also important. No amount of skill as a brewer can turn substandard ingredients into quality beer. In order to brew the highest quality beer — but also to potentially understand where off aromas or flavors come from when they do arise — it pays to assess the quality of your ingredients by smell and taste. If you are an all-grain brewer or an extract brewer who steeps grains or uses partial mashe), get used to chewing a few kernels of your base malts and soft (chewable) specialty malts. The main thing to ascertain is if the malt is fresh. If malt is old, it will taste stale — in the same way old bread or crackers that have been sitting around open for awhile taste stale. 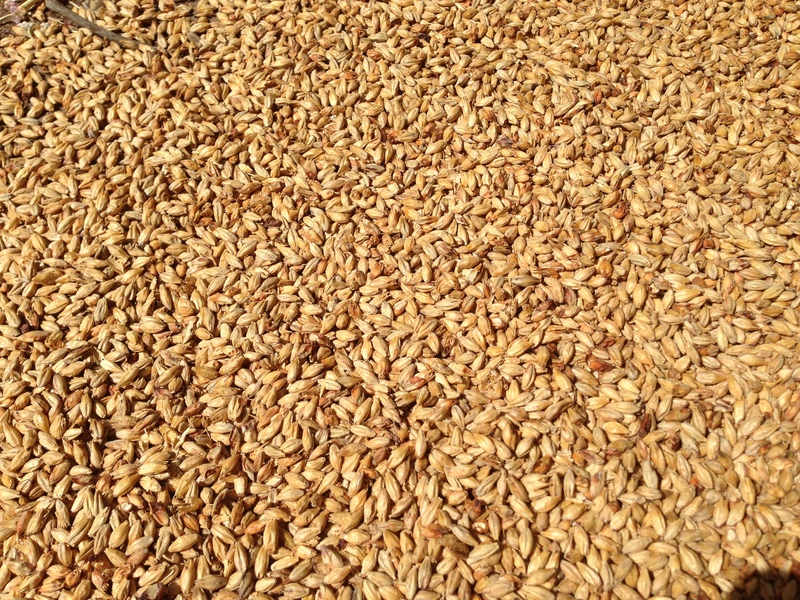 Stale malt will not only make stale-tasting beer, if it is old enough, it may have lost a significant amount of its diastatic power (its ability to convert starches into sugars). 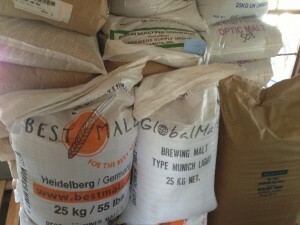 Malt can stay fresh for months if stored properly. Some specialty malts are too hard to chew, or would be unpleasant to taste on their own. For these you can make a weak tea and taste it. Just take a pinch of grain and place it in the bottom of a glass, so that there is basically one layer of kernels at the bottom. Add hot water (strike water, for example) so that there is roughy a “finger” of water standing on top of the grain. Swirl it around and let it sit for a minute or two, then taste. 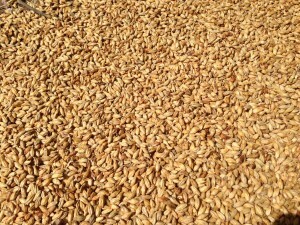 Again, what you are looking for is a fresh taste and aroma and flavor that is typical for that type of malt. The first few times you try this will be a learning experience. If stored in a cool, dry place, (uncrushed) malt will remain fresh for around 8 months. A light color to malt extract is indicative of freshness. Darker colors mean it has oxidized. Malt extract goes stale just a malt does. Because it has water in it, liquid malt extract goes stale faster than dried malt extract. You can test the freshness of your extract by making a tea from it. The color, aroma and flavor will indicate if it is suitable for brewing. Take approximately 1.25 oz. (35 g) of liquid malt extract or 1.0 oz. (28 g) of dried malt extract and dissolve it in 1 cup (8 fl. oz. or roughly 250 mL) of hot water. This will make wort with a specific gravity of 11 to 12 °Plato (SG 1.044–1.048). In others words, wort of a density that would make a ”regular-strength” beer (4.5–5% ABV). If your malt extract is labeled light, extra-light, pale, Pilsner or golden, the color should be in the ballpark of a Pilsner beer. Extract worts are slightly darker than all-grain worts made with comparable grain bills, so the wort may be shifted a bit towards golden and away from pale straw. However, if the reconstituted extract is amber in color, it is stale. Even if the color checks out, taste the wort to double check for freshness. You can pour your sample into your brewpot prior to the boil. If stored cool, liquid malt extract should remain fresh for at least a couple months. Dried extract will stay fresh for about 8 months, provided it is kept in a sealed container to keep moisture out. Likewise taste your water after it has ben filtered, because if something has gone wrong with your filter, it may taint your water. And finally, taste water after you’ve made your mineral and acid additions. One time, my old homebrew shop (which no longer exists) mislabeled some of their bottles and what I thought was phosphoric acid was really electrode storage solution. Because I tasted my final brewing liquor, I noticed an off flavor and didn’t use that water. Never take your water for granted. Taste the water going into every batch you brew. 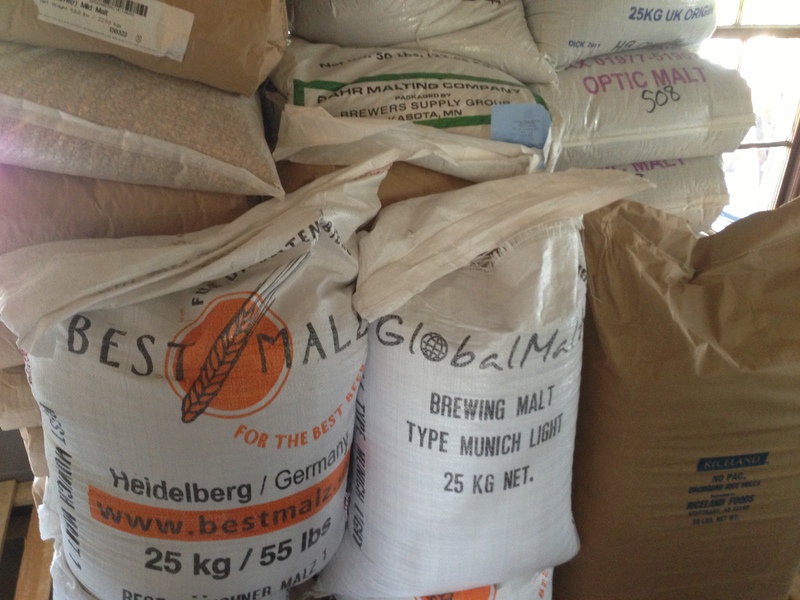 When malt is shipped to a commercial brewery, a malt analysis sheet accompanies it. Likewise, breweries — both home and commercial — check their water report to see the composition of their water. In addition to the data you gain from these reports, smelling and tasting your malt and water will give you firsthand knowledge of the quality and freshness of your beer’s ingredients. Tomorrow, I’ll cover hops and yeast. Often wonder about the freshness of the whole grains I get from various e-LHBSs b/c way too often…a mature recipe executed under essentially the same process produces significant variability in outcomes (absorption / lautering volumes, extract efficiency, brew house effeiciency, etc.). We know how hop alpha declines over time but what about whole grains? That’s a good question, but I don’t know the answer. 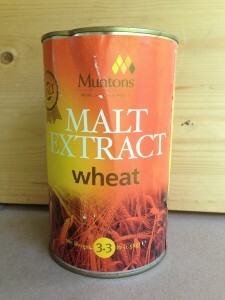 Malt starts to taste stale even when it retains quite a bit of diastatic power (the capability of the amylase enzymes to degrade starch), so I don’t know if anyone has studied what happens when it gets really old. Commercial breweries would reject the malt long before it had any chance of being used in that state.